2000 mAh Rechargeable Li-ion Polymer Battery will provide 6 hours of usage at 5 scans/TX/RX per min. Battery for PPT5000 , 4000 mA.. 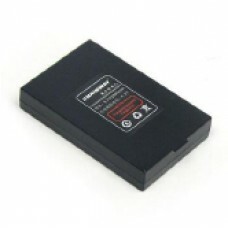 Battery for PPT50004000 mAh Rechargeable Li-ion Po.. Battery for PPT5000, 2000 mAh Rechargeable Li-ion Polymer Battery will provide 6 hours of usage at 5 scans/TX/RX per min.